"Working with metal was a completely new endeavor for me. 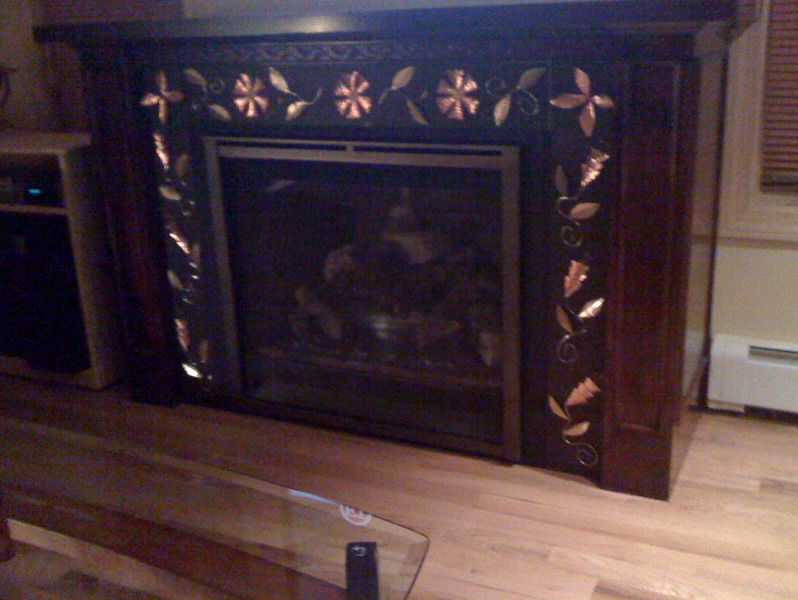 With a few basic materials, an idea on paper, and GREAT advice from Cathy at Basic Copper I was on my way to creating a fireplace surround that came out better than I imagined. Below are the materials and simple directions:"
Cut the thin wire and fold into a V shape. Stick a bead of your choice on the tops and glue them behind the vertical flowers on the sides. Twist the thin wire around the thick wire about 15 times to make a tight coil then slide the thick wire out...stretch the wire out and string the larger green seed beads on the bottom curves and epoxy to the veins down the center of the brass leaves.